The Verge‘s Dieter Bohn says that his Galaxy Fold device broke after a random bulge appeared on the display, perhaps from a piece of debris that had gotten into the hinge. The debris, or whatever the bulge was, pressed into the display hard enough to break it. Bohn says that he did not mistreat the phone, doing "normal phone stuff" like putting it in a pocket and opening and closing the hinge. Similarly, CNBC‘s Steve Kovach shared a video of his review unit displaying a flickering, failing screen after just a single day of use. Bloomberg‘s Mark Gurman also ran into a catastrophic display failure. His Galaxy Fold is broken and unusable, appearing to feature some of the same screen failures as Kovach’s unit. In Gurman’s case, he says that there was a protective layer on the screen that is not supposed to be removed, but this was not communicated to him. He took it off, which may have contributed to the problem. Well-known YouTuber Marques Brownlee says that he did the same thing because there was no warning in the box. Not all of the reviewers with broken units removed the plastic film, however, so there are clearly multiple issues impacting the Galaxy Fold. Three broken review units that failed within a day or two does not bode well for the device at all. It’s not known if reviewers received a bad batch of the device or if units going out to customers will experience the same issues, but anyone considering a purchase should be aware of these failures. 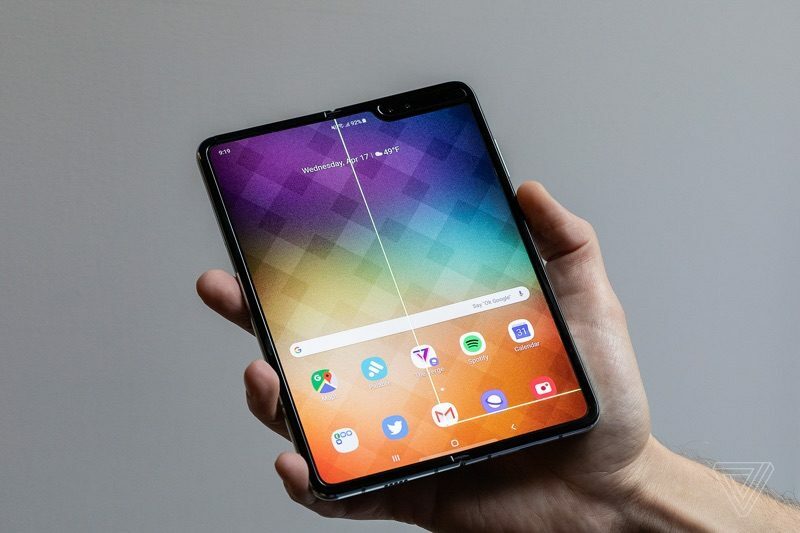 Samsung’s Galaxy Fold costs a whopping $1,980, which is a sensationally high price even for a device that works. Right now, Samsung is accepting pre-orders for the Galaxy Fold on carrier sites, and the first retail units are expected to be available to customers on April 26.